Most of the photos that we take nowadays are either portraits or selfies. And I think that I speak for everyone when I say that most of those photos are far from perfect. I mean unless you are wearing some kind of makeup there will definitely be some imperfections like pimples, moles or blemish on your face. A solution would be to put on makeup every time you take a photo of yourself but I think that is not ideal for most people. Fortunately for you, there are a lot of apps out there that can remove such face imperfections. Today I will be talking about an app called Perfect Face, that works on both iOS and macOS and provides you with all the tools you require to remove the pimples and blemish from your photos. Perfect Face lets you zoom in on the area that you want to edit and also allows you to undo/redo your edits. You can also modify the size of the edit area and the sensitivity of the face imperfections detection algorithm. So, as you can see, Perfect Face offers a lot of useful features that will make the life of all those selfie lovers out there a lot easier. So if you are the kind of person that takes a lot of selfie and portrait photos then Perfect Face is an app that should not be missing from your toolbox. 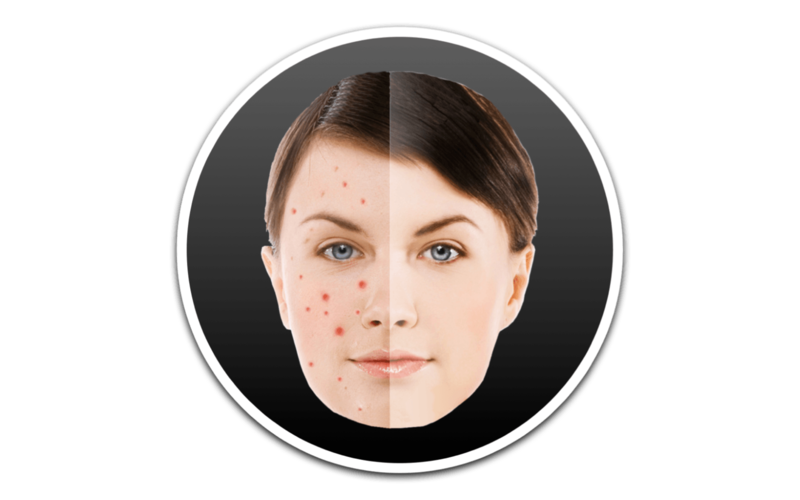 Designed for both mobile devices and desktop systems, it offers a lot of powerful tools that will clear all the pimples and moles from your photos. So purchase Perfect Face today for only $0.99 (iOS) / $4.99 (macOS) and take your Facebook and Instagram photos to the next level.